Weak international trade has claimed a big victim in the global shipping industry. Hanjin Shipping, one of the world's biggest cargo carriers, filed to go into receivership on Wednesday after its creditors cut off support. The South Korean company has succumbed to a crippling combination of lackluster global trade, a glut of container ships and brutal competition from rivals. International shipping companies have been struggling since the financial crisis. Hanjin, for instance, posted losses in four of the past five years. It had been working on a restructuring program in recent months to try to shore up its battered finances. But its plans failed to satisfy its creditors, who decided Tuesday to turn off the money tap, a Hanjin spokesperson said. Some Hanjin vessels have already been detained or turned away from ports, it said. And going into receivership, under which a court will decide the firm's fate, will add to the headache. "It is very likely that all our assets will be frozen in less than a week," the company spokesperson said. That means many goods won't be delivered to customers, potentially leaving Hanjin liable for paying back clients. 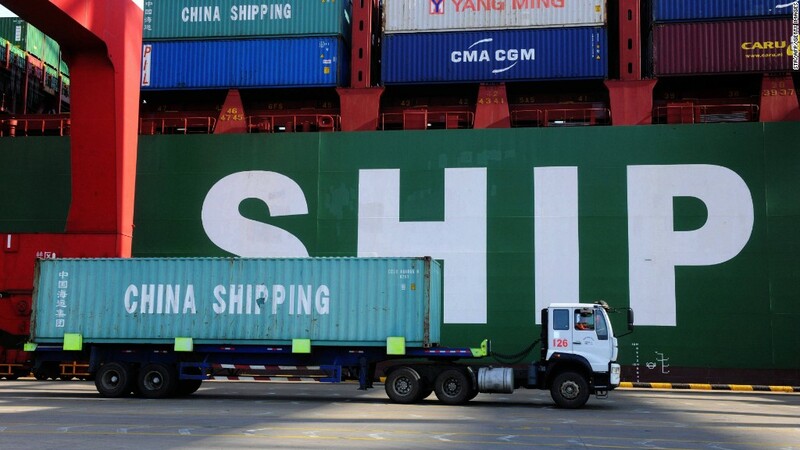 Hanjin Shipping shares had plunged 24% Tuesday before being suspended from trading. Around 90% of the world's goods are transported by sea, so when demand drops, shipping companies are among the first to notice. The slowdown in China, the world's biggest exporter, has contributed to weakening global demand. Another challenge is overcapacity. The shipping industry started producing bigger and bigger vessels with the aim of increasing efficiency and boosting profits. But the strategy had the reverse effect, as the extra competition actually forced down prices. Some ships are even now hanging out in international ports, empty and waiting for cargo. After an ugly year in 2015, global shipping consultancy Drewry has forecast losses of more than $5 billion for the industry this year.